Spray a flat cookie sheet with PURE. 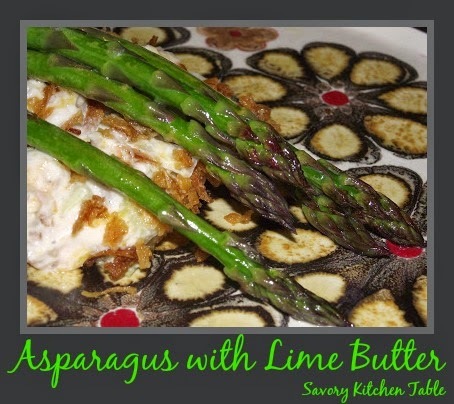 Arrange asparagus in a single layer. In a small bowl melt the butter. Add the lime juice and whisk well. 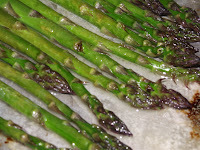 Pour lime juice evenly over the asparagus. Increase oven temperature to broil. 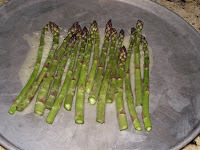 Broil asparagus until just done. Turn off oven and serve both dishes immediately.